Cambridge University Press, 9780521829922, 462pp. Viking Empires is a definitive new history of five hundred years of Viking civilization and the first study of the global implications of the expansion, integration, and reorientation of the Viking World. From the first contact in the 790s, the book traces the political, military, social, cultural and religious history of the Viking Age from Iceland to Lithuania. The authors show that it is no longer possible to understand the history of the Norman Conquest, the successes of David I of Scotland, or German settlement in Poland, Prussia and the Baltic States without integrating the internal history of Scandinavia. 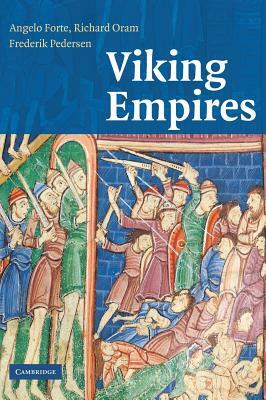 The book concludes with a new account of the end of the Viking era, arguing that there was no sudden decline but only the gradual absorption of the Scandinavian kingdoms into the larger project of the crusades and a refocusing of imperial ambitions on the Baltic States and Eastern Europe. The authors, experts in Scottish history, medieval studies, and law, have taught a course on Viking history to undergraduates at the University of Aberdeen for a number of years.